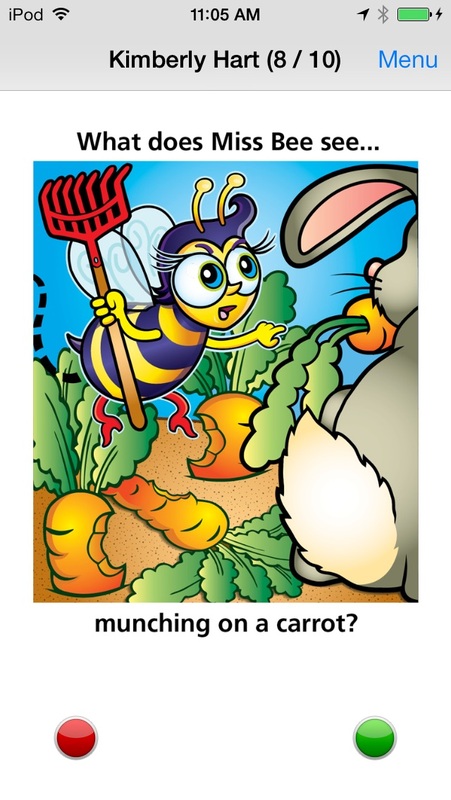 This colorful educational App for the iPhone®, iPad®, and iPod touch® has all 56 illustrated picture flash cards (plus audio of each card text) from the What Does Miss Bee See? 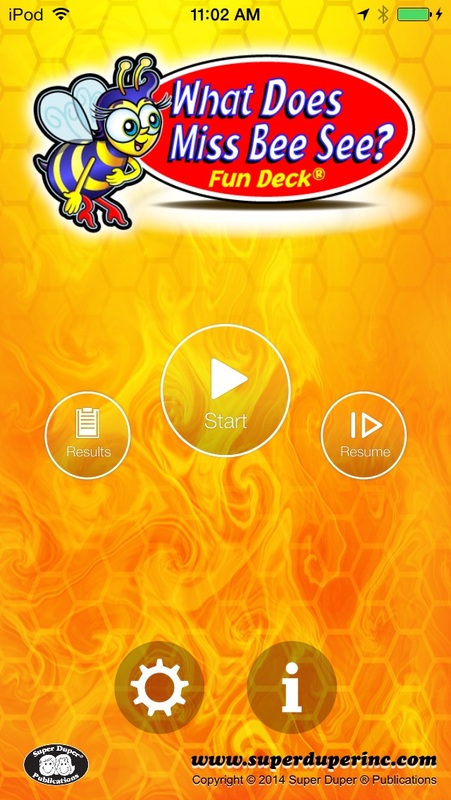 Fun Deck® by Super Duper® Publications. 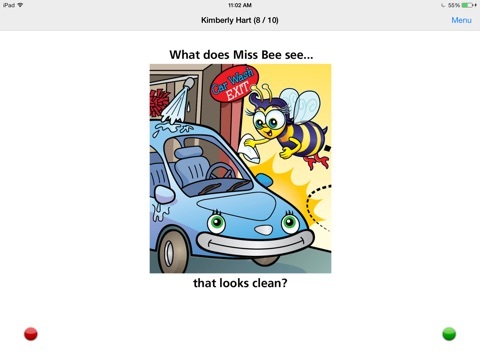 Select the cards you want students to see, and have them answer the question, “What does Miss Bee see?” for each picture. 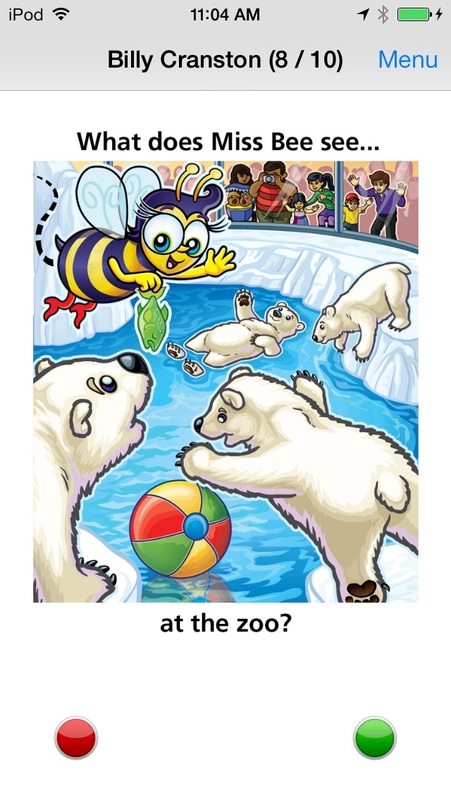 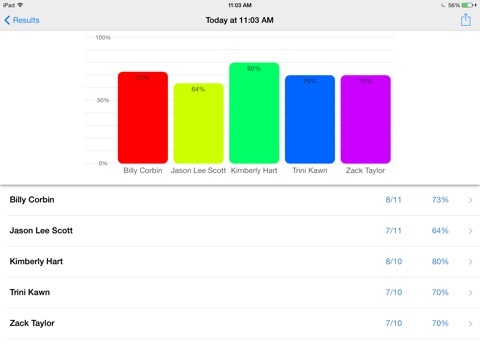 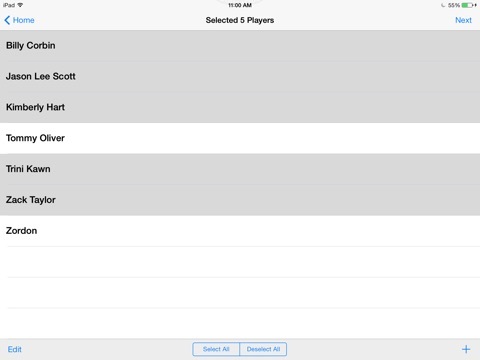 The prompts include questions like, “What does Miss Bee see... at the zoo?” and “What does Miss Bee see... hiding in a box?” Use this App to help students improve their naming, describing, inferencing, and visual skills.